68 year old male, presented upon referral from his optometrist, for evaluation of a macular pucker in the left eye, with blurred vision. 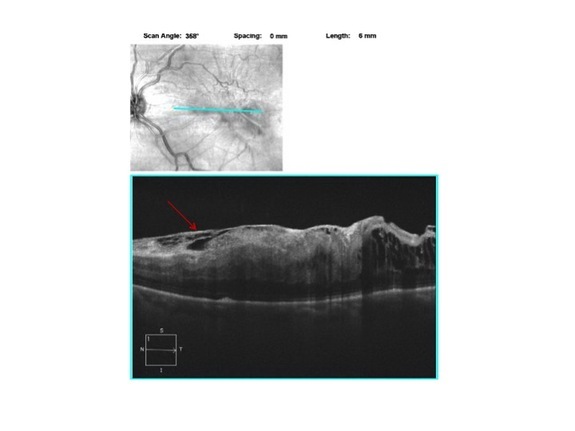 OCT and dilated fundus exam revealed a rather dense epiretinal membrane, reducing vision to counting fingers. The OCT shows the pucker (red arrow) and how it tents up the retina, causing swelling, and deformity of the normal foveal contour. Vitrectomy with membrane peeling was recommended and scheduled.